We are delighted that Jacqueline Best is joining SPERI as Honorary Research Fellow from 1 October 2015 to 31 August 2018. 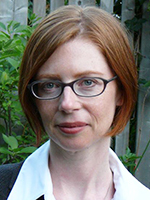 Jacqueline is a Professor in the School of Political Studies at the University of Ottawa, and Coordinator of the International Political Economy Network (IPEN). Her work focuses on the social, cultural and political underpinnings of the global economic system. She has recently published two books with Cambridge University Press: Governing Failure: Provisional Expertise and the Transformation of Global Development Finance, a single-authored book, and The Return of the Public in Global Governance, co-edited with Alexandra Gheciu. Jacqueline is also an editor of the Routledge Review of International Political Economy (RIPE) Book Series and has been a visiting scholar at the University of Queensland and the University of Oxford.